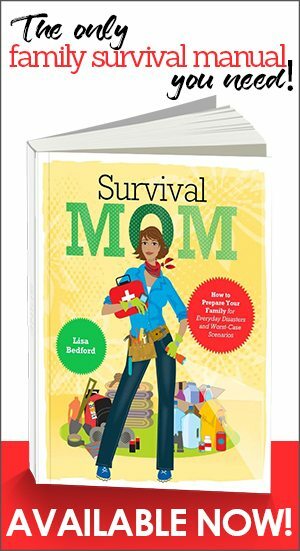 The Survival Mom finds all kinds of great books, gadgets, and things we can all use to help us in our every day lives and in becoming more prepared. It can be hard to keep track of them, and even harder to find something you saw mentioned in an article a few months ago. So what’s the solution? 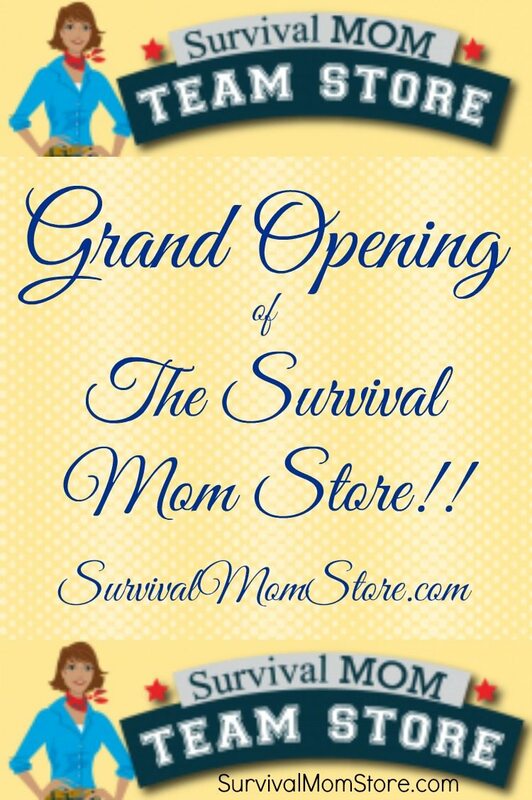 The new SURVIVAL MOM TEAM STORE! It has items recommended by all the members of the writing and podcast teams, including items mentioned in our blog articles. It is based on the Amazon store, so you can go ahead and use the Amazon checkout you are already comfortable with, look at all the reviews on Amazon, and if you have Amazon Prime, free 2-day shipping! For those of you who don’t know how the process works, you pay the same amount as you do when you go straight to Amazon to buy the items in the store. The difference is that a portion of the price of that item and every other item in your cart when you check out, as long as it is within a day or two of visiting the store, will go toward supporting this blog, the podcast network, and the weekly newsletter. It doesn’t cost you a penny more. 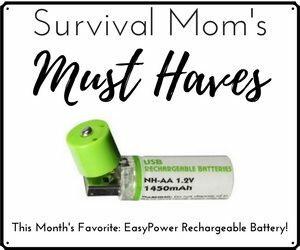 What is in the Survival Mom Team Store? 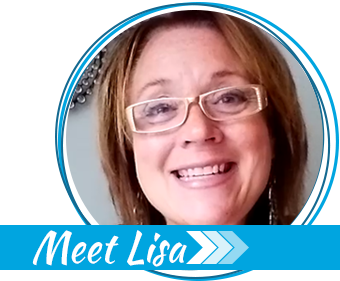 You’ll find all kinds of things in helpful categories, such as books, camping and outdoor equipment, games, movies, cooking utensils, tools, machines (like a sewing machine), specialty hobby supplies, and even budget-friendly survival supplies. There are hundreds of items already and we keep adding more every day! You’ll find a few items featured on the store site. These are things we like a lot, for some reason. Right now there is a non-electric portable slow-cooker, a Celtic animated movie, hand sanitizer that does NOT leave your hands dried out, a smoke alarm that lets you record a message instead of beeping, and an ultra-light camping stove. Tomorrow, it may be something different. But whatever it is, we think it’s extra-special! Is it Only For Disasters? Of course not. Lots of these items can be used for everyday life. The Breathe Healthy face masks in the Viral Outbreak category (under Worst Case Preps) are machine washable fabric impregnated with an antimicrobial agent, and it’s MUCH more comfortable than a disposable mask if you are doing dusty yard or housework. Wool emergency blankets in your car come in handy when the weather turns unexpectedly cool during a game. And books, movies, and TV shows are just plain fun. There is a even whole section full of gift ideas. 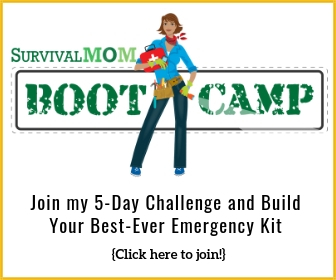 So, Do You Have Disaster Prep? Of course! Viral Outbreak has the most items for fairly obvious reasons, but there are tons of items for Fire Safety under Safety & Security as well, and there are items for Nuclear protection as well. (If you live near a nuclear power plant, keeping Potassium Iodide Tablets on hand isn’t a bad idea.) You’ll also find products we like for your emergency kits and bug out bags. We will add more categories and products in the future. WAPI: Small, light-weight device purifies waters and pasteurizes milk…saves fuel and time. Reusable Hand Warmers: Great for hunting/fishing/camping for treating aches and pains, frostbite/hypothermia prevention, etc. Best part is there are reuseable and can be recharged with boiling water.